Start making money right away on this beautiful home and have your guests help you pay for your vacation home, this house is almost fully booked until March 2019. 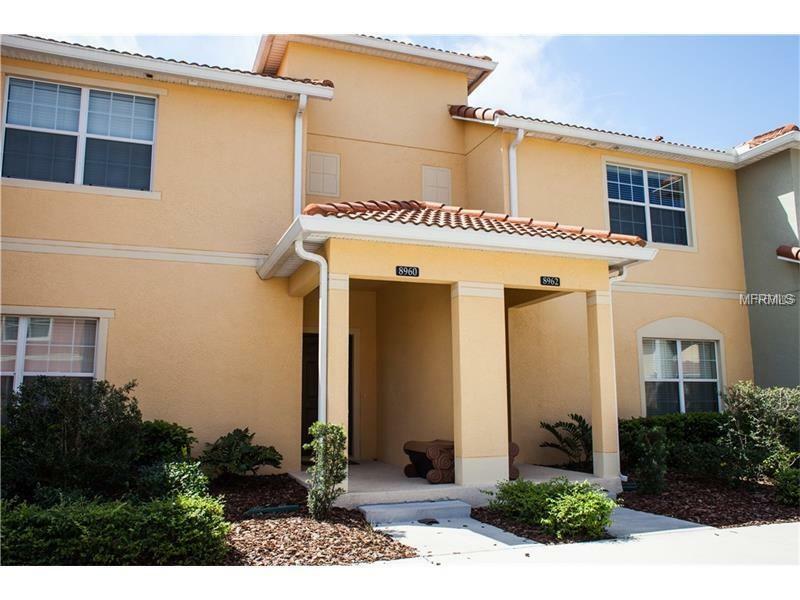 Paradise Palms is one of the most popular rental locations only 5 miles from Disney.This 4/3 luxury Townhouse comes with granite counter tops in the Kitchen and Bathrooms, stainless steel appliances, maple wood cabinets and 18" tile throughout the first floor. It has its own Private Pool with a Covered and Screened Lanai. Resort offers the best amenities in town: 9,500 Clubhouse with a 50 seats movie theater, fitness center, sauna, game room, arcade games, huge swimming pool with waterfall, pool slide. 2 Spas and 24 hour manned security gated entrance, you must see!